There is a big difference between investing and speculating. Speculating has the same risk level as rolling the dice with your eyes closed hoping for a result. Investing is all about managing risk and increasing returns by making well planned investment decisions based on market reality. This unbiased market reality is what our exclusive REIN Research Reports have been providing investors for over 20 years. They have become the most dependable source of national and regional research and analysis as it pertains to real estate markets across North America. These reports are designed to keep you informed and ahead of any trends so you can make the right decisions on where and when to buy and just as importantly when to sell. With all the talk surrounding major real estate markets such as Vancouver or Toronto, many times emerging smaller markets fly under the radar and go dismissed. These markets can serve as ideal places for investors seeking affordable real estate yet real estate that has real potential for growth. Saskatoon is one of these smaller markets that is poised for growth and very well may be making headlines on real estate articles across the country in the near future. Read our Saskatoon Economic Fundamentals Report to learn more! 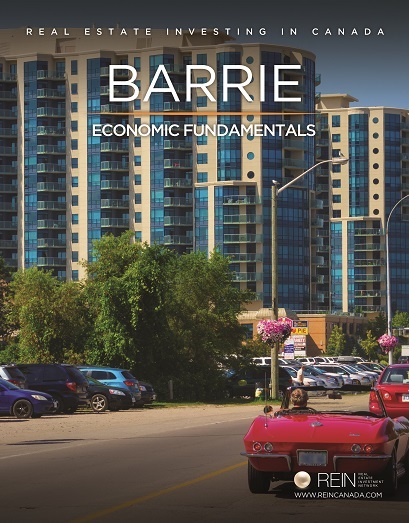 Easily understand Barrie's key economic indicators and what they mean to safe and secure investment opportunities. 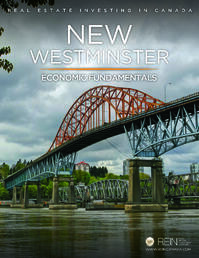 Easily understand New Westminster's key economic indicators and what they mean to safe and secure investment opportunities. Easily understand Victoria's key economic indicators and what they mean to safe and secure investment opportunities. The Impact of Transportation Improvements on Housing Values in the Ottawa Region. The Impact of Transportation Improvements on Housing Values in the Vancouver Region. The Impact of Transportation Improvements on Housing Values in the Edmonton Region. The Impact of Transportation Improvements on Housing Values in the Toronto GTA Region. The Impact of Transportation Improvements on Housing Values in the Calgary Region. The Impact of Transportation Improvements on Housing Values in the KWC Region. The Impact of Transportation Improvements on Housing Values in the Hamilton Region.